Vernacular language scholar John Rickford and Indian architect and educator Brinda Somaya have been named Andrew Dickson White Professors-at-Large for six-year terms effective July 1. The appointments were approved by President Martha E. Pollack and the Cornell University Board of Trustees at their May meeting. Faculty members nominate candidates, and a faculty selection committee reviews and recommends the appointments. Twice during their terms, A.D. White professors-at-large visit campus for about a week while classes are in session, to enliven the intellectual and cultural life of the university. Rickford is a socio-linguist and a renowned expert on African American Vernacular English (AAVE). He was nominated by Abigail Cohn, professor of linguistics, and Kevin Gaines, the W.E.B. Du Bois Professor of Africana Studies. A prominent public intellectual among scholars in his field (notably, Noam Chomsky and William Labov), Rickford is a professor of linguistics at Stanford University, where he is the J.E. Wallace Sterling Professor of the Humanities and a Bass University Fellow in Undergraduate Education. 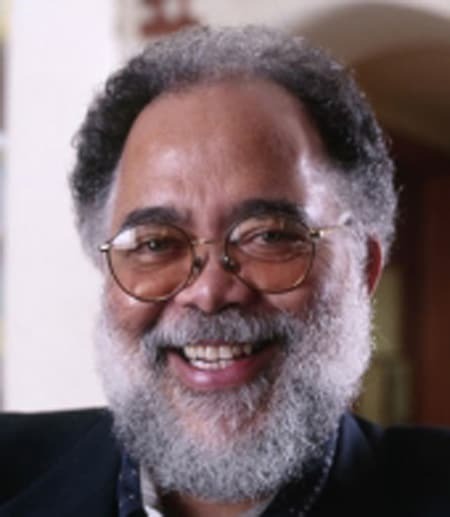 Since the 1970s, Rickford’s work to document AAVE and other understudied varieties of English spoken throughout North America and the Caribbean has contributed to the linguistic and historical study of vernacular language in the African diaspora, as well as the understanding of AAVE and its grammatical regularities and structure. He has contributed descriptive research on AAVE and its Caribbean varieties, its historical origins and syntactic patterns, as well as research on the politics of language related to prejudices in the judicial system toward linguistic and cultural differences. Rickford was a strong voice of reason during the national Ebonics debate in 1996-97 when the Oakland (California) School Board recognized the vernacular of African-American students in the teaching of standard English. His current research is on the influence of basic linguistic misconceptions on legal and political decisions. Bridging social linguistics and legal studies, Rickford has analyzed the adverse consequences of the misunderstanding of AAVE in criminal trials, including testimony during George Zimmerman’s 2013 trial for Trayvon Martin’s murder. Somaya is an internationally recognized architect, planner, educator, preservationist and community activist based in Mumbai, with a well-established influence on architectural education and practice in emerging countries. She was nominated by Mary Woods, professor of architecture. Somaya’s building projects typically embody conservation of materials and resources, and a participatory design ethos considering local circumstances and cultural contexts tied to issues of social equity. In this alternative practice, the architect functions as facilitator, professional adviser and community organizer. “The architect’s role is that of guardian – he or she is the conscience of the built and un-built environment,” she says. Somaya is the principal architect and managing director of Somaya and Kalappa Consultants and a founder trustee of the HECAR Foundation (dedicated to history, education, conservation, architecture and research), which sponsored the first Women in Architecture conference in 2000, with an exhibition of work by women architects in South Asia. She was recently awarded the restoration of the Indian Institute of Management, Louis Kahn’s modernist masterpiece in Ahmedabad, in an international competition. Somaya was named a distinguished professor by the Indian Education Society’s College of Architecture in Mumbai in 2015. She is the first woman to win the Wienerberger Award for Lifetime Achievement in Architecture (2007) and the Indian Institute of Architects lifetime achievement award (2014). Her other honors include UNESCO’s Asia-Pacific Award (2004) for the restoration of Mumbai’s 18th-century landmark St. Thomas Cathedral, and the 2011 international award from SEED (Social Economic Environmental Design) Network. She graduated from the Sir J.J. College of Architecture in Mumbai and has a master’s degree from Smith College. Rickford and Somaya join 15 currently active professors-at-large at Cornell, including South African judge and human rights activist Albie Sachs and theoretical physicist Nima Arkani-Hamed, who are both scheduled to visit for a week in September. Computer scientist Margaret Martonosi ’86 and Andrew Dobson, an ecologist researching infectious diseases in endangered and threatened species populations, will be on campus in October.